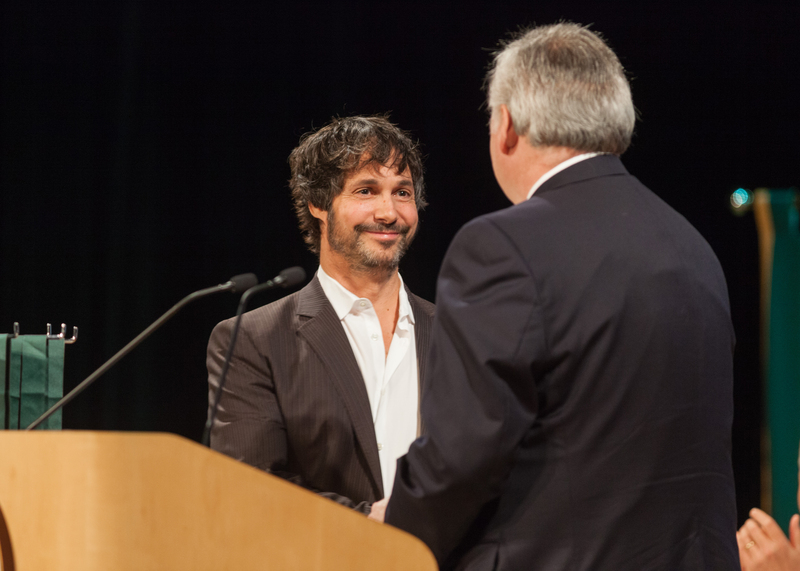 Hyde Park, NY – Ken Oringer, executive chef and owner of several top Boston restaurants, returned to his alma mater to deliver the commencement address at the New York campus of The Culinary Institute of America on September 30. A 1989 CIA graduate, Oringer’s current restaurants include Coppa, Uni, Toro, and Little Donkey. He first made a splash in the Boston dining scene with Clio, which he opened in 1997 in the Eliot Hotel. The restaurant made Esquire’s list of America’s Best New Restaurants and was named Gourmet’s Best Newcomer of the Year and among its Top 50 Restaurants in America. He won the James Beard Foundation Award for Best Chef: Northeast in 2001, after three previous Beard Award nominations. Chef Oringer spoke to 55 recipients of CIA associate degrees in culinary arts and baking & pastry arts. The entire graduation ceremony can be seen online.